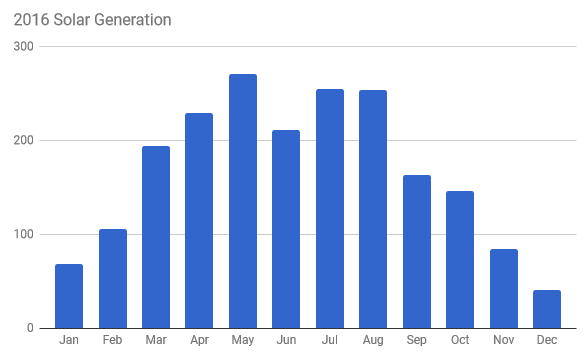 Following a couple of very good years of solar generation including the record breaking 2014, this year was a little let down with poor performance over the winter months. 2016 was not the lowest so can’t really grumble and I’m still pleased with the year’s yield from the 2kw system. The chart below shows the performance over the last twelve months.